Q: How do I start an organization? A: Read the Registration Guidelines. Secure ten (10) currently enrolled Pitt students as initial members. You will need at least 1 president, vice president, and business manager to start. Secure a full-time faculty or staff member at the University to serve as your advisor. Write a constitution for your organization following the Constitution Requirements. Attend a “Start Up Your New Organization” Workshop. Q: How do I see how much money is my organization’s account? Q: How do I deposit funds into my organization’s private account? All checks should be made payable to the UNIVERSITY OF PITTSBURGH and have the individual’s name and mailing address in the top left corner of the check. The name of your organization can be written on the Memo line. Q: What is a Reimbursement form and when do I fill one out? Q: How do I fill out a Reimbursement form? Follow the directions, and don’t forget to attach receipts as well as any other supporting document(s)! Q: What is the P-Card/T-Card and how do I use it? A: SORC office has credit cards that student organizations can use for online and over-the-phone purchases. The Travel Card (T-Card) is used for travel expenses and registration fees; the Purchase Card (P-Card) is used for all other purchases. These credit cards CANNOT be used to purchase any form of ground transportation, food, or software. If you are using the T-Card or the P-Card, all purchases must be made in the SORC office by the Business Manager of your organization during P-Card hours (please refer to our homepage). You will need to fill out a form with information of your order, and upon completing the transaction, you must print out a receipt or confirmations from the order. Funds will then be taken out of your organization’s account. Q: Who is the SGB Allocations Committee and How Can I Get Money From Them? 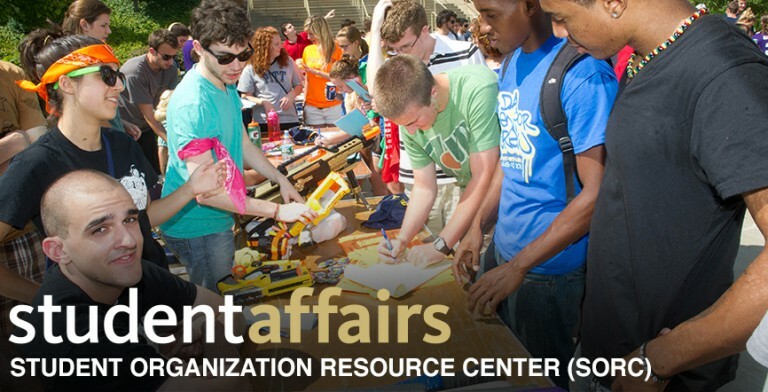 A: The Allocations Committee holds the responsibility of allocating funds to student organizations for approved programs and purposes according to established policies and procedures. Each organization is assigned an Allocations Committee liaison to assist them in determining eligibility of funding and creating requests. Please reference the Allocations Manual available on the SGB website for further information on SGB funding policies and the Allocations procedural guidelines. A: Motorpool is just another way to say “The University of Pittsburgh Parking and Transportation Services Office.” With Motorpool, student organizations can rent University vehicles for organization business purposes. To ensure availability, be sure to contact the Motorpool office at least 2 weeks in advance of your trip. Q: What are the Qualifications and Process of Becoming an Approved Driver?